For the sixth year running, Al-Shabaka ranks among the world’s top think tanks. As you may already know, Facebook is in the process of changing what appears - and what doesn't - in users' news feeds. This means that, even if you already like Al-Shabaka's Facebook Page, you may end up missing our latest posts, including important publication and event announcements. Thankfully, there's an easy fix to ensure that you continue to stay up-to-date with our latest news. Al-Shabaka ranks among the world’s best think tank networks for the fifth consecutive year, according to the advance release of the 2017 Global Go To Think Tank Index report. Al-Shabaka is pleased to share this report on Al-Shabaka’s work in 2016 as well as some of our progress in 2017. In these pages, you will find a succinct summary of the analysis our network has produced as well as the many events where we have contributed to the policy discourse – from Ramallah to Paris, Geneva, London, Washington, and more - evidence of our growing global reach. Please join us on Thursday June 15, 2017 for Fifty Years of Occupation: Looking Back, Looking Forward, a panel discussion marking the 50th anniversary of the occupation organized by Al-Shabaka: The Palestinian Policy Network. The event is sponsored by the Middle East and Islamic Studies Program at George Mason University. The just-published 2016 Global Go To Think Tank Index again ranked Al-Shabaka in the "Best Think Tank Network" category. 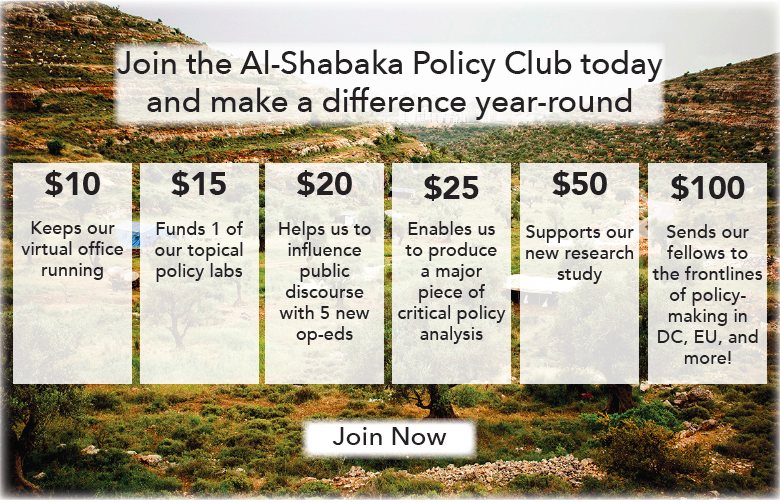 This is the fourth year running that Al-Shabaka has been ranked by this prestigious report.